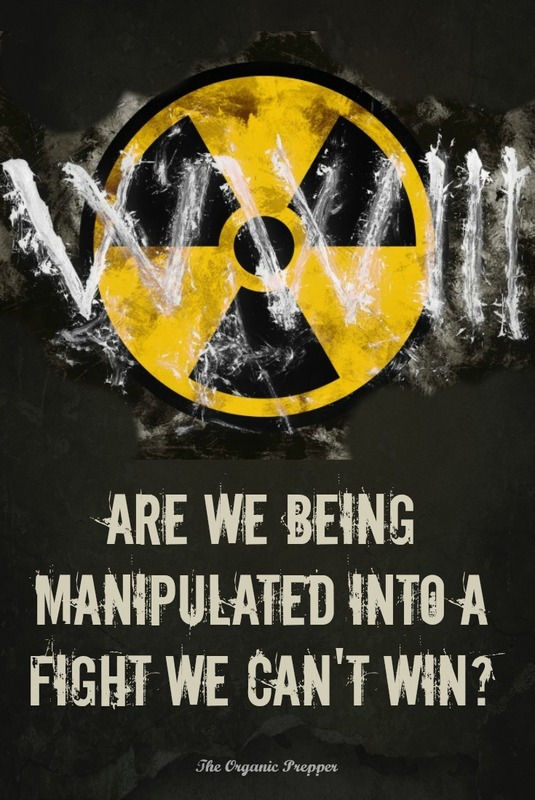 HomeCOMMENTARYWW III: Are We Being Manipulated Into a Fight We Can’t Win? Those who weren’t convinced were called conspiracy theorists and cast into a bucket with a bunch of unsavory Alt-Right types. But even in this critical article, I ask you, where is the proof? Senator Ron Paul produced this video at the time. Check out the classes by Selco, because he is one person who has lived through a nightmare like this. Stock up on emergency food, figure out what you’ll do about water, learn about nuclear survival (there’s a whole chapter in my newest book) hope for the best, and plan for the worst. I would be very interested in your take on the Syria-Russia-China mess. Do you think we’re headed toward WWIII? Do you disagree or agree with the analysis here? Don’t go all Dunning-Kruger. Think critically, even if it goes against your deeply held convictions. Please keep it civil and FACTUAL as we discuss this in the comments section. About the Author: Daisy Luther is a coffee-swigging, gun-toting, homeschooling blogger who writes about current events, preparedness, frugality, and the pursuit of liberty on her websites, The Organic Prepper and DaisyLuther.com She is the author of 4 books and the co-founder of Preppers University, where she teaches intensive preparedness courses in a live online classroom setting. You can follow her on Facebook, Pinterest, and Twitter. This article (World War III: Are We Being Manipulated Into a Fight We Can’t Win?) was originally created and published by theorganicprepper.com and is republished here with permission and attribution to author Daisy Luther and theorganicprepper.com.